My Kasha Is Too Mushy! Question: Thank you for the information on your site. I have a question about Kasha. I cooked some up the other day for the first time and it came out very mushy. It has the consistency of mashed potatoes -- very starchy. I found this very strange. Did I add too much water or cook it too long? I had the impression that kasha/raw buckwheat would cook up fluffy and tender, instead of mushy, and that I'd be able to stir-fry it with other ingredients like one would stir-fry rice. Sassy Sez: I'm sure you're not the only one with this question. When I first tried buckwheat/kasha, I just wasn't sure what to expect. Firstly, just to make things clear for all, buckwheat and kasha are the same thing. But kasha is simply buckwheat which has been toasted. They both have the same cooking instructions. 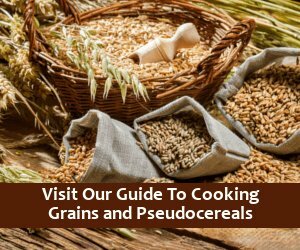 Buckwheat is not a wheat - or even a grain, for that matter - but it is usually listed as a grain to keep things simple since it is cooked in the same manner. Buckwheat will absolutely become mushy if it cooks too long. In fact, I like to use it to make risotto because if it is slightly overcooked and stirred often, it becomes very sticky. That said, there is a sweet spot, where your buckwheat will be tender enough to eat, but not mushy. Sonya, I am not sure of the proportions you used, but I recommend you try to cook your buckwheat for less time. If your buckwheat is cooked al dente and there is still water in the pot, you can simply drain off the remaining water. To cook buckwheat or kasha, bring 2 cups of water to a boil with some salt, stir in 1 cup of buckwheat, and bring back to a boil. Then reduce the heat and simmer, covered, until just about all of the liquid has been absorbed (10-12 minutes). Remove from heat and let stand with the cover on until all of the liquid has been absorbed (about 5 minutes). If you own a pressure cooker, bring 1 3/4 cups water and 1 cup buckwheat with a bit of salt to high pressure for 3 minutes. Then allow the pressure to come down naturally for 7 minutes. If there is any pressure still left in the pot, quick-release. Your buckwheat may require a bit more cooking, and if so then you can add just a touch more water and lock the lid back on -- it will steam in the remaining heat and cook up perfectly (just a few more minutes). If you pre-soak your buckwheat (which I've started doing—overnight) use less water when you cook it as well as cooking for less time. Experiment to find the amounts and times that work best for you. Be sure to rinse your buckwheat well after soaking, before cooking. By the way, I was pleasantly surprised by the flavor, which is quite original and hard to describe. When buckwheat is toasted, it becomes kasha which has a more nutty and earthy flavor. I think I know what the previous post is about and I'm so frustrated, I'm online doing research on it. For years, my Russian husband's mother has brought us buckwheat when she visits. It is imported from Russia and cooks up beautifully, firm and fluffy like rice. Just last week I ran out of it and bought some at Whole Foods that looks identical. However, when I cook it, it thickens and turns to mush before even coming to a full boil! I have to keep adding water - way beyond the 2:1 ratio - in order to cook it long enough. It is awful. My mother had the same experience buying a different brand. What could be the difference? I recommend using a large, flat pan (frying pan) versus a pot. Be sure the pan is hot before adding the first ingredient. If you're toasting the buckwheat first, add the buckwheat to the hot pan and let toast (stirring often) THEN add the water, bring to a boil, cover, lower heat and cook. If you're NOT toasting the buckwheat first, bring the water to a boil in the pan, THEN add your buckwheat, bring to another boil, cover, lower heat and cook. I have similar experiences with Kasha in Poland versus Kasha in Canada. The stuff my grandmother cooks in Poland turns out fluffy and perfect, here in Canada the kernels seem to just fall apart and turn to mush, or they're undercooked, or even worse, some are still crunchy and undercooked while others are already turning to mush! It's a mystery. I think that maybe the kernels in Poland are whole and have fewer broken pieces - I've noticed here that the bulk Kasha has many broken kernels and I believe those would cook differently than the whole kernels. Wow, Barb, I didn't know there was such a big difference in the types of kasha out there. Trippy. Hope someone will come on here and help us sort out a solution. 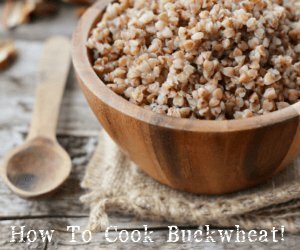 Does buckwheat need to be rinsed before toasting? I would say the answer to that question is no, buckwheat which you buy in the store does not have to be rinsed before toasting. Hi! I fell in love with buckwheat when in Ukraine (they call it gretchka in Russian). I decided to try to grow it when I got home. I grew up about 80 pounds worth and am still in the process of dehulling using a grain mill. Slow process and I'm getting lots of broken kernels also. I notice that if there are too many broken ones, it does in fact get more mushy quickly. I've had different experiences with the same homegrown buckwheat so far in that sometimes it is mushy and sometimes it is light and fluffy. It might be a matter of cooking style or roasting time. I'm still experimenting and can let you know what I find out over time. I tried steaming one time and it seemed to hold together better. My best guess right now is that I need to toast it longer, but we'll see. I strongly disagree with the previous post. Buckwheat coming from Eastern Europe IS different. You don't have to jump through those extra hoops (coat with egg, etc.). I've tried both roasted and unroasted Russian groats and they were equally simple: add water, as for rice, boil and it comes out perfectly fluffy, like rice. Still looking for a good explanation (different variety?) Until then, I'm still driving across town to the import store to get the good stuff! I've had a chance to experiment a bit more with different methods using my homegrown buckwheat. Plain roasted buckwheat tended to get fairly mushy, even if using a low amount of water. Less water was better, but still mushy. The best method I found for making less mushy was roasting the buckwheat in the oven for about 40 minutes on 325 degrees (convection oven), letting cool a bit, coating with beaten egg (as mentioned by a previous post), then frying in a dry pan for a few minutes to cook the egg into the buckwheat, creating a shiny coating on the groats. Apparently there is a chemical in the egg whites called Albumin, that acts like a binding agent, keeping the groats more whole when cooking. Too much water and/or overcooking can also create a mushy texture. I suspect that as part of the commercial processing of buckwheat in Russia they might treat the buckwheat with something like Albumin, which might explain why off the shelf Russian buckwheat doesn't require the egg step. I could be wrong, of course, and maybe they just grow a different variety there that doesn't require that step. I plan to research a bit and will post if/when I find out for sure. This conversation about Russian buckwheat is really quite interesting. 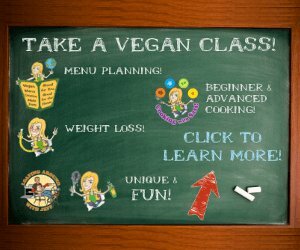 Just a heads-up for those of us here in the United States, most of the buckwheat (if not all?) that you find here will NOT be coated in egg and will NOT need to be coated in egg. So rest easy! I would love to hear from those Vegans in Russia who do not want egg-coated buckwheat are supposed to do. CAN you buy buckwheat there that doesn't have an egg coating?!? Egg not necessary after all! Ok, I did quite a bit more experimenting this past weekend and also snooped around the internet. Here are my conclusions, so far, with one caveat at the end. I compared my homegrown buckwheat to some from Eastern Europe that a friend sent me. My buckwheat (and perhaps the other that you get in the U.S.) is very fragile compared to the European. I can crush my buckwheat between my fingers with enough force and it turns to powder. The European buckwheat is more the consistency of a hard dried corn kernel and there is no way I can crush with my fingers. I read and heard from some people that apparently the Eastern Europeans roast their buckwheat using "super heated steam." My guess is that it has the effect of fusing the otherwise powdery inside of the buckwheat into something more the consistency of hard dried corn. I'm not a biochemist, but the combination of the moisture and high temperatures create this effect. Unfortunately I can't replicate this at home, so I'm left with other ways to achieve a similar goal, which is to prevent the powdery inside from being released into the pot before it can congeal into a puffy cooked groat. After several attempts using different methods, I've concluded that, as some others have said, it is critical to put the buckwheat into boiling or near boiling water, rather than cool water to start. The cool water immediately penetrates the outside of the groat and when it starts to heat, it breaks apart most of the groats and turns to mush. Coating with egg helps somewhat, but not absolutely necessary as the improved result is incrementally smaller than the effect of hot/cool water. The egg coating just helps create a seal around the groat, to allow the inside to absorb water at a slower pace and hold together long enough to create that puffy white cooked groat. With the Eastern European buckwheat, water temperature and with/without egg probably doesn't matter at all or very much because their groats are so much more durable. The caveat I mentioned is that I'm not absolutely sure that the super heated steam is making the kernel more durable, as I don't have access to the groats they use before roasting. It is also possible that they use a different variety, or that maybe the moisture content of their groats are higher than what I grew, so that in the natural drying process, they are more durable by their nature. If I'm ever able to successfully contact one of the processors I'll find out and post something. I'm happy, at least, that I can replicate the texture of the finished Eastern European product, albeit with having to use more care. The plus side might be that my more "natural" processing might perhaps preserve more of the nutritional value than the commercial steam roasting process. Also, sorry if I scared some of the community by insinuating that you had to use egg! Turns out this was not true, at least based on what I observed, other than to maybe marginally improve the texture of buckwheat that isn't rock hard to begin with (like the Russian/Ukrainian). I'll have to visit Whole Foods and other grocery stores to check out the texture of their buckwheat. I suspect the rock hard kinds will do fine with any cooking method and the softer texture kinds, like my home grown, will need to be more carefully cooked. I agree with the commenter above; it is really important to place the buckwheat directly into boiling water, and then making sure not to add too much water, (2:1 ratio) and not to cook for more 25 minutes on the stove. 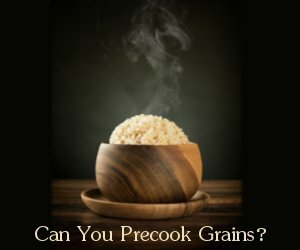 In addition, it is important to soak all grains overnight before cooking them because it helps some nutrients become more available. Also, once the soaking is finished, the water will have a gel-like consistency (don't know why), so it's important to rinse the buckwheat well before adding it to the boiling water. I am Russian, and for my entire life I used to have and love kasha exactly as it should be - delicious, fluffy, incredibly flavorful. 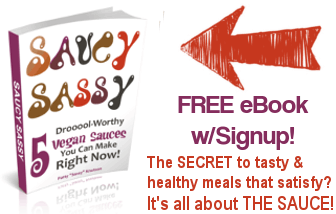 You rinse it, add cold water 2:1, get it to boil, turn the heat down and in 20 min it is ready! Nothing is simpler! 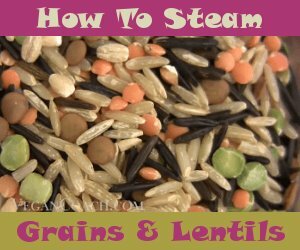 If you add more water, it will become slightly softer, but each grain would still be separated from the others. 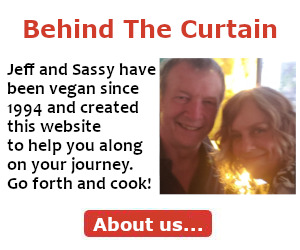 My American husband and I both love kasha and cook it quite often. I NEVER buy it in the local supermarkets or even in the food coops, no matter how organic and sustainable it is. I tried, but the result was totally disappointing. After about five minutes of boiling it turns into a wallpaper paste without taste, smell, or consistency. The only place to get it real is a Russian or European food store. I never heard of it being treated with protein or else. I know it is roasted and we tried to roast the local one at home, but the result was still the same. It has been mystery for me for the last 10 years, my only guess is that those are two different varieties of the same grain. No wonder why buckwheat is not really popular among the Americans - it is simply inedible! Thanks so much for your contributions. This has been quite the eye opening thread! So where can you buy European buckwheat? You can get good imported buckwheat at a European/East European food market. Search for one in your city online. I've also seen the same brand I buy on sale online. It's worth it! Ahhhh, thank you! I tried buckwheat for the first time a couple of days ago following the packet instructions - simmer using a ratio of 5.5 cups of water for 1 cup of buckwheat until all liquid is absorbed. Fortunately my pan was a little on the small side and I ended up using 4.5:1 and it ended up seriously mushy which was rather unpleasant!! I shall give it a go again using the 2:1 ratio and hope for the best this time. Thank you! Back to the top - Kasha Too Mushy!